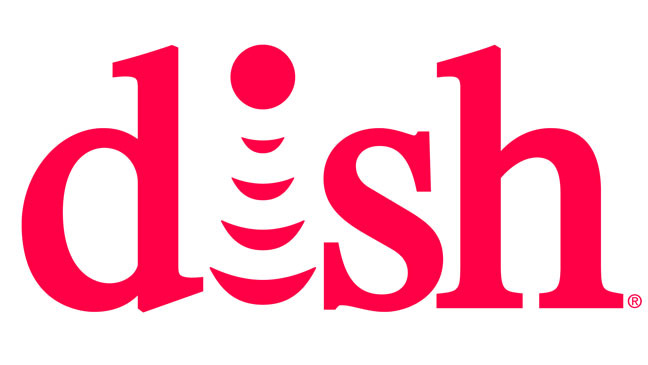 According to an all-too-brief article on Multichannel News, DISH has petitioned the FCC to block the merger of T-Mobile and Sprint. This is just one more shot in a battle that’s been going on for over six years. Sadly, it will probably go on for quite a bit longer. I covered the news back in 2012-2013 when Sprint was caught in a bidding war between DISH and Japanese telecom Softbank. A lot of those articles didn’t get migrated to the new version of this blog. Call it feng shui if you want. Truth is, it was part of my life I didn’t want to relive. Reality had a different plan. One of the few remaining early posts comes from 2013 when DISH first got involved. To recap quickly, by 2012 Sprint was suffering from a history of bad decisions. They’d bought Nextel thinking that chirp-phones were the future. They weren’t. They tried to buy ClearWire thinking that people wanted wireless internet in their homes. (At that time at least, they didn’t.) They’d bought so many weird chunks of spectrum that it became very expensive for manufacturers to build phones for them. Yet, people wanted iPhones and early Galaxy phones. The company was a perennial fourth horse in a three-horse race and they wanted to do better. So, they put themselves on the block. One of the early winners was Japanese company Softbank, who did end up finally buying Sprint. It wasn’t an easy trip though. Softbank itself had to distance itself from companies like Huawei who still have issues with spyware. And, they had to deal with a takeover attempt from DISH. While the whole Sprint deal was taking place, Softbank also expressed some interest in T-Mobile. T-Mobile had done a lot of things right and in my opinion would have been a better purchase. However, that deal fell through until last year, when rumors began to swirl about T-Mobile and Sprint coming back together. They were on-again, off-again for about a year but yep folks, they really want to do it this time. Why does a merger make sense now? After about four years of trying, Sprint has divested itself of a lot of weird little quirks. That doesn’t mean they’ve gotten good, but they have managed to carve out a niche as a low-priced carrier and they have managed to get the iPhones and Galaxies that people want. This means they’re well-positioned, but they still can’t become popular. On the other hand, T-Mobile has carved out a loyal customer base that comes courtesy of the company’s maverick image and innovative plans. Customers think of them as the anti-Verizon; nimble and customer-focused. Both companies want to bet heavily on 5G, the next cellular standard. 5G will be faster than your current home internet and will open up all sorts of possibilities. Everyone wants to be there first. AT&T is working hard to get there before everyone else; T-Mobile and Sprint have a lot of catching up to do. And DISH thinks it’s time Sprint and T-Mobile back off, so it seems. Why DISH? Why do they care? DISH has, over time, bought a lot of wireless licenses. So far, they haven’t used them. Even back in 2012 the clock was ticking for them to do something with what they’d bought, and getting in bed with Sprint seemed to be the answer. To this day DISH hasn’t really done anything with its wireless acquisitions, but the FCC seems far more interested in other pursuits and hasn’t enforced any of the penalties they could have. DISH is protecting its own agenda here but they’re also pointing out something important. Historically anything associated with Sprint has just led to market confusion, not better customer choice. Letting them merge with T-Mobile doesn’t sound like a very customer-friendly idea, and all it will do is confuse customers as T-Sprint (S-Mobile? What should I call the merged company?) rolls out a guaranteed incompatible solution. DISH wants people to move toward 5G and T-Sprint’s voice could just drive people away. . Believe me folks, this is the last thing I want to be blogging about here in 2018. I still have nightmares about the last time this all rolled into our lives. But I feel compelled to say that I still think the T-Mobile/Sprint merger is a bad idea, that it reduces competition and could confuse customers. DISH is doing the right thing here.